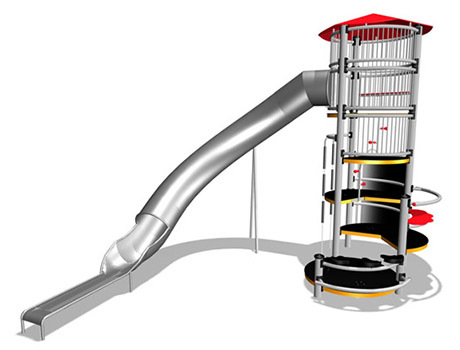 This unit, with a high 6m tower, a covered tunnel chute, climbing wall, flexi rope climb and staggered seating areas in and around the tower, combines both active and social elements. 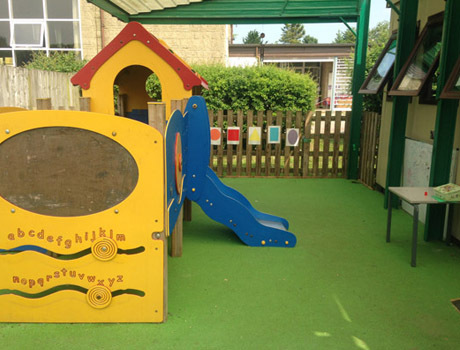 The large 600mm step heights that need a long reach, restrict access for young children. 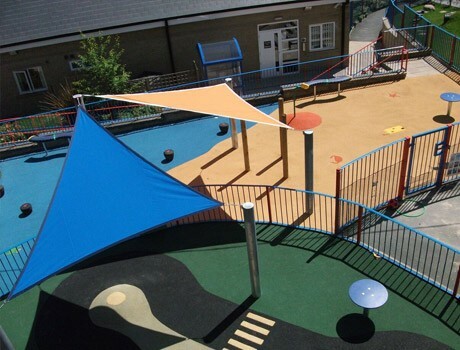 The 3.3m high deck gives a feeling of being really high up, but the entire unit is totally enclosed above 1.5m to ensure safety. A high capacity unit with plenty of seating on the bottom terrace.